The official start of the holiday shopping season is Black Friday, which seems to have undergone a transition over recent years. No longer is Black Friday people literally camping out in front of their favorite retailer, waiting for the latest tech gadget or the toy that every kid wants, only to find that their prize is gone by the time they can get inside the store. Common sense and self preservation are winning out. Rather than risk trampling by a crowd of crazed bargain hunters, reasonable people are choosing to let their laptops and smart phones do the walking. They can get a good start on their shopping in the comfort of home, without the risk of a trip to the emergency room, and still have the time to spare. If handmade jewelry is on your list for gift giving this year, or if you want to reward yourself for outgrowing the high risk habit of Black Friday shopping in person, check out my online shops! 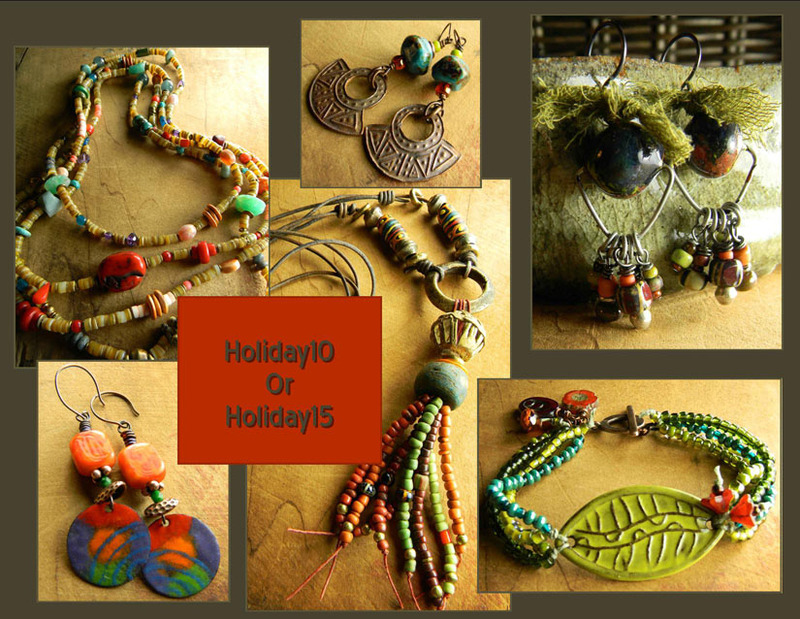 You can save by using my holiday coupons in either of my shops, Chrysalis Too on Etsy or Chrysalis Tribal Jewelry. Prices have already been reduced on many items in both shops, so shop early for the best selection. If you missed out on Black Friday, don't worry, coupons will be active until December 20th.